Peter Bailey continues his riveting NiteCap series, meeting up with author and the History Channel's Decoded host Brad Meltzer at Books and Books in Coral Gables where he discusses the Iluminati in hip-hop and the rap superstar who asked him to investigate it's role. With all the evidences in the world, you two are sitting over here farting lies out of your assholes. Whose side are you on mates? Brad is a fake clearly so his opinion is irrelevant. I can't believe how you guys are clueless. Both of these people are sold out or they are propangadizing your minds. Shame on them. Don’t fall for this BS in this interview people!! He telling lil TRUTH and and LIES at the same time. REAL PEOPLE,BS CONVO on this one. Peter Bailey looks a lot like Fabolous! Metzler is C.I.A totally.......he pushes the party line.......but he sneaks in some truth, because he thinks you're too dumb to get it............and where was this recorded a kids jazz club? This is a great interview! The only thing I want to point out is that the Freemasons are not the Illuminati. They are actually the anti-Illuminati. Masons are good people. Our nation was founded by Masons on the principles of freedom and personal rights. As Masons in the Government have decreased throughout the years, so has our strength as a country. The Illuminati want you to believe Masons are the problem. It's the oldest trick in the book and America falls for it every day. Jay-Z Mark's god for calling himself Jay Hova in the book of Isaiah the 42nd chapter verses 8 for I am the Lord and that is my name and my glory will not give to another never my praise to graven images Isaiah 48:11. For mine own sake, even for mine own sake, will i do it : for how should my name be polluted and i will not give my glory unto another. Hmmmmm, something is very wrong with interview. Because Lee Harvey Oswald didn't do it alone and it has been proven! I been studying Brad Meltzer for years and came to the conclusion that he's an agent! I enjoyed watching Decoded but after listening to this video - this is so much cow dung! After listening to this interview my opinion of Brad Meltzer dropped through the floor falling into a bottomless pit. 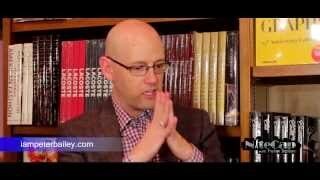 Of what is Brad Meltzer afraid? I'd purchase his book at a his book signing - ask him to autograph the book. Affirm with Brad that the book is my possession now that I've paid for it. I'd tear it up in tiny peaces in his presence and throw it in a waste basket. Peter, How much does Jay-Z pay you to be his spokesperson/public relations assistant? First off they pray to satan for there talent they have two you know how many artist that are really good in really rap about something that will never get famous 3 they only rap about begin pimps drug dealers in killing so why wouldn't they be famous in Satan's Paradise if they follow suite with the devils agenda sorry bro I'm awake in saved can't fool me.......KAHJMAN!